The Celestron Smartphone Adapter is small, lightweight, perfect for travel and it quickly changes between viewing and photography. You can have quick and easy connection from your smartphone to telescope for instant photos of the Moon, planets and more. 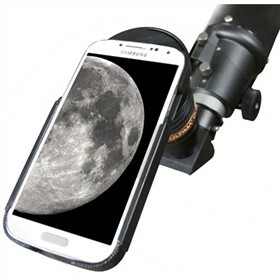 This smartphone adapter is custom-fit to Celestron's Ultima Duo eyepieces and your Samsung Galaxy S4. You can use the Smartphone Adapter for daytime imaging through your telescope. 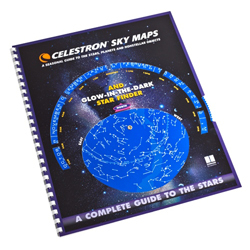 It is perfect for capturing the craters on the Moon, sunspots and solar prominences, the planets and even the brightest deep sky objects such as the Orion Nebula. You can even use your camera for traditional photography while it is still in the adapter. The Celestron Smartphone Adapter has many exciting features for users of all types. You can extend the lifetime of your Celestron Smartphone Adapter with the purchase of a FactoryOutletStore Factory Protection Plan. FactoryOutletStore stocks a full line of accessories like Celestron LensPen - Optics Cleaning Tool, Celestron Night Vision Flashlight, and Skymap for the Celestron Smartphone Adapter. The Celestron Smartphone Adapter is sold as a Brand New Unopened Item.